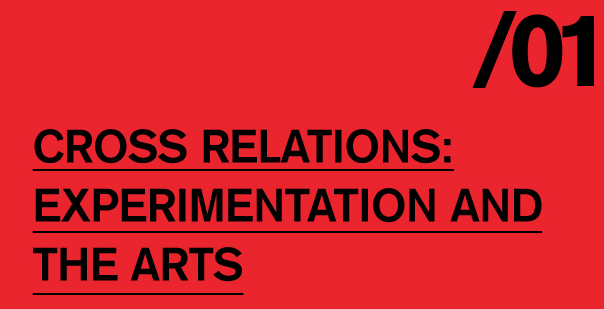 The Institute of Contemporary Art is pleased to present Cross Relations: Experimentation and the Arts, a symposium that will take place in ICA’s Tuttleman Auditorium on Friday, October 28 at 5:30PM. 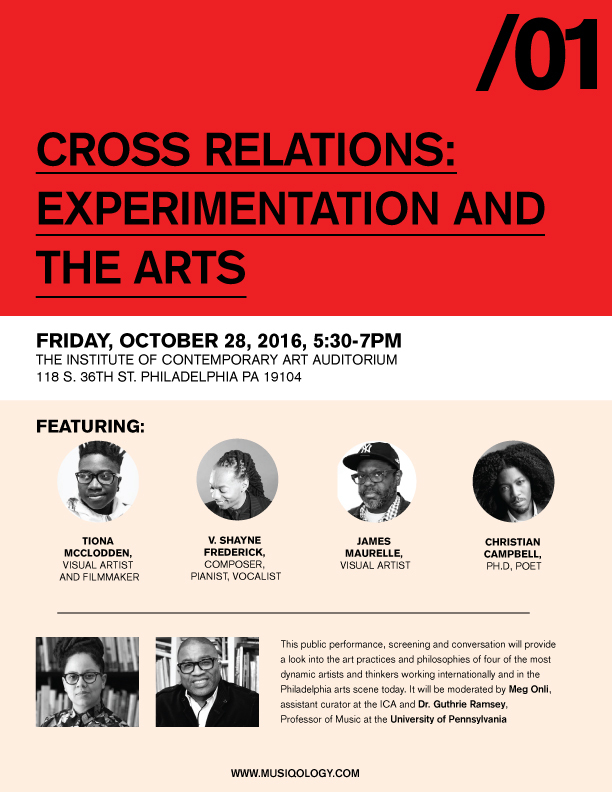 Tiona McClodden (visual artist), James Maurelle (visual artist), V. Shayne Frederick (musician), and Christian Campbell (poet) will each present a ten-minute example of their work, which will be followed by a broad discussion moderated by ICA Assistant Curator Meg Onli and Guthrie Ramsey, Professor of Music at the University of Pennsylvania. Refreshments will be served, and ICA’s galleries, where the exhibitions Endless Shout and The Freedom Principle: Experiments in Art and Music, 1965 to Now are on view, will remain open until 8PM.